PA officials continuing efforts to unilaterally gain recognition of the state of “Palestine” with eastern Jerusalem as its capital. Palestinian Authority (PA) officials are continuing their efforts to gain recognition of the European Union (EU) of the state of “Palestine” with eastern Jerusalem as its capital, the Xinhua news agency reported Sunday. 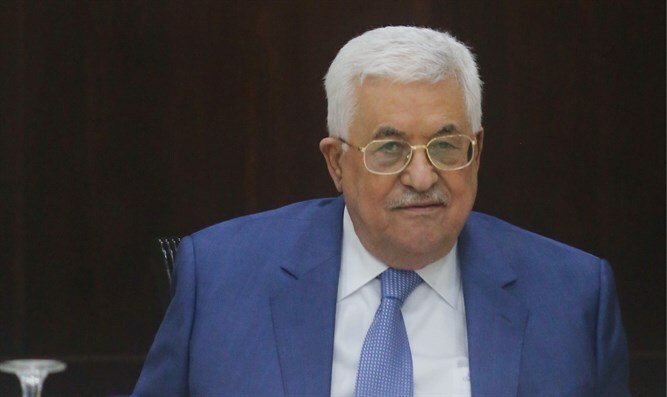 Well informed sources in the PA said, according to the report, that PA chairman Mahmoud Abbas will meet with the EU's foreign ministers on January 22 in Brussels. At that meeting, he is expected to ask them to recognize a Palestinian state on the pre-1967 territories with eastern Jerusalem as its capital. The sources told Xinhua that such recognition by the EU would revive the internationally-backed two-state solution and help the Palestinian bid to get a full UN membership. The PA has been mulling unilateral steps in response to U.S. President Donald Trump’s recent decision to recognize Jerusalem as Israel’s capital. A PA official recently said France would be willing to recognize “Palestine”, if other European countries join it in doing so. However, at a meeting last month with Abbas, French President Emmanuel Macron ruled out recognizing “Palestine” as a state unilaterally. Previously, Abbas urged Spain to recognize the “state of Palestine” in accordance with the recommendation of the local parliament. On Saturday, Jordan announced that the Arab League would seek international recognition of a Palestinian state with eastern Jerusalem as its capital. In addition to seeking unilateral recognition of “Palestine”, a committee from the Palestine Liberation Organization (PLO) has been preparing documents for discussion during the meeting of the organization's Central Council next week, deciding the future Palestinian political steps. "The moves to be discussed include defining the relations with Israel in addition to the political and legal steps the Palestinians may take," Ahmed Majdalani, member of the PLO Executive Committee, told Xinhua on Sunday. Recent reports indicated the PLO would discuss declaring areas liberated by Israel in 1967 as "a state under occupation" at the upcoming meeting.